Greetings with folded hands to all the prayer for partners and well-wishers and generous donors of the Messiah Mission International from India, with love of God. First of all we want to tell you that we love you in Christ and we thank the Lord and glorify Him whenever we remember you. India is still in darkness regarding the True God and Everlasting Life and needed and priority area number one in regard to the gospel. The night comes and nobody can work at that time so we are dedicated to the work of the Lord when there is daytime. The generous Lord has given twenty-four hour time in a day to the lowest man as he has given to the highest authorities like the President of the United States of America or the Prime minister of India. It reveals our God is no respecter of persons and loves and respects every person equally. Therefore we are committed to preach the gospel to the lowest persons of the community and reach with the compassion outreach to the destitute. Two years back while I was returning from village preaching, I stopped in Begur, 20 km from our Headquarters (I would like to tell to others Messiah Missions International National Office In India) because there was a group of people thronging before the Begur police station. I stopped and asked what was the problem, what was going on. Two supposed Christians were quarreling and beating each other. One man assaulted the other person and the other man beat him with shoes. I asked what was the reason. The answer was, there is a mission named Philadelphia Church in Rajasthan and they have had sent 150,000 thousand rupees for building a church in Begur. Mr. Shiju Samuel and Bennymon John quarreled about dividing the sum of money among them. That was the first time I met with Bennymon John. Still he has some complaints pending against the other man. I visited the website of them and all the churches mentioned there belong to the Roman Catholic Churches. The Little Flower School belongs to Roman Catholic Priest Vicar Thomas. I tried to meet any evangelist of the brigade, but all of them are false names and addresses. This man spends a lot of money on building websites. A software professional is his friend and it is told that Bennymon drinks a lot of alcohol. The needy female children shown on his website are from nearby houses. They come there for playing in the garden to get very dirty for photos. This garden belongs to Mahadeva of Begur Village. 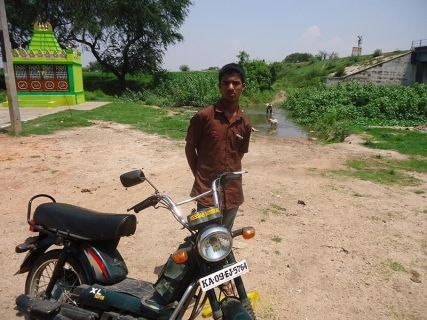 People like Bennymon are a shame to the gospel work in India. But he is earning one to two lakh rupees every month. He has a sports utility vehicle which costs 15 lakh rupees. One and half a million Rupees! I am praying for a vehicle for the work here which is only two lakh rupees. To take snacks, food and clothes and the big battery operated speaker which can be used hours without power source and other provisions. If I had a small car, I need not hire cars and auto rickshaws (three wheeler) for taking believers and children to the prayers to our Messiah Missions Refuge Ministry Center. This work is progressing with growth. At least 30 crores of the population of India is children in the age group of 3 to 15. Though we cannot reach out to 300 million children we could reach out to 300 children. We work among them for their benefits in their physical, social and spiritual spheres. Anyone can wash and feed a child; but only a saved person can love the child and impart faith in the life-giver Jesus Christ which is beneficial for a lifetime. 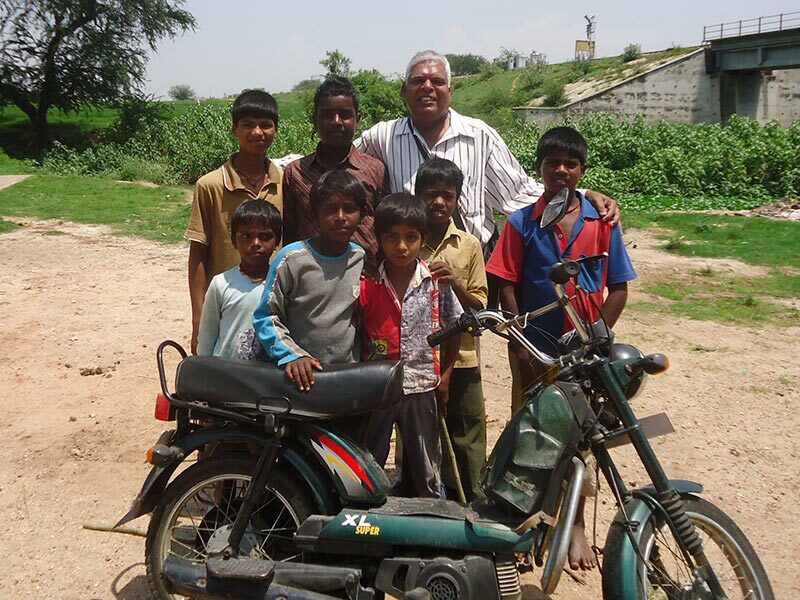 Messiah Mission sponsored children got through the examinations in flying colors. Because once you have faith in God you have concentration in education and all the walks of life. 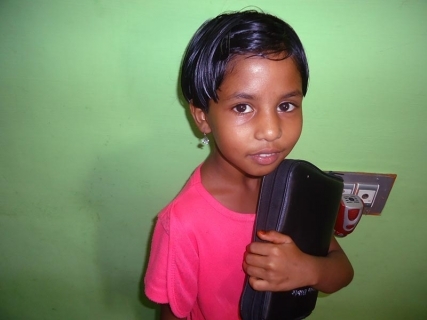 One child named Manasapriya, the adopted child of the Director, received 62 percent in aggregate and passed in first class. 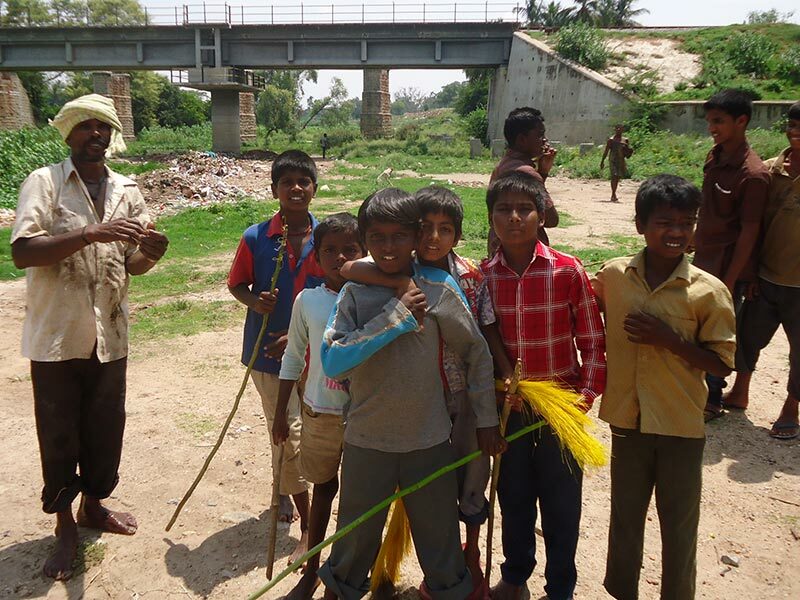 This is somewhat highest in this slum where children stop studying and sent to sweeping of floors and streets. That is why this place is called the Sweeper’s Colony. However, I want to add a couple of life testimonies of the children to reveal the pattern of work done by your missionaries in the slums and villages of India. I am fifteen years old. I did appear for the SSLC public examination this year. On the 12th morning I went to the internet cafe and checked my result. I have failed in five subjects. I had no courage to face my parents and relatives so I went to the bank of a canal which enjoins the Kabini river. This place is called Kundlu and I was thinking of better to die by committing suicide. Otherwise I have no courage to speak to my father. I had poison bottle in my pocket and a tree nearby to hang upon river there to jump by suffocation and a railway line to give my head, the train’s coming was near. I had another friend also with me who was travelling in the same ship so we were just waiting for the train to pass this way. But at that time Pastor John Mohan came to the riverside and called me by my name. I thought by mistake he is calling me by my name. So I hesitated. But again he came to me and put his hand around my shoulder and told ‘Jesus loves you he wants you’ I changed my mind after a couple of minutes and told ‘I love this God which seeks me and findsme’. Yes, no need to die for such things as grades! Jesus will open new doors if all the thresholds are blocked. I will appear for the supplementary exam next month and pass. I will live for Jesus. I am only nine years old. All the people call me little Priya. Priya in our language means beloved. But I was not beloved to all, especially to my grandmother. She used to drink aarrack every evening. Later she used to scold my mother and me very much and fight with other people. I was fed up by this act and was thinking to get rid of this problem. One of my friends told to mix poison with the aarrack and give to the grandmother. But I will have to go to the juvenile jail and continue there for very long time. That is not good I decided! If we repent we can ask forgiveness from a living person but how can we get forgiveness from a dead person? 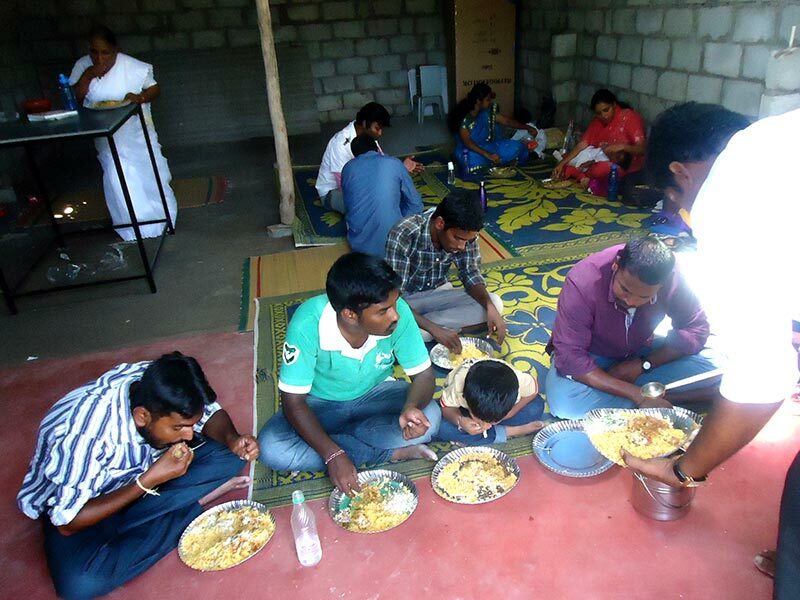 In the meantime, another of my friend was attached to the Messiah Mission Church here in Nanjangud town. She was going for a fasting prayer there. I also joined her to escape from my grandmother. There I heard good news that Jesus can change a person, family, and community. Examples given were the incidents Jesus met with Zacheus and the Samaritan woman. I believed and from that day I put away my faith in the God and believed in the living God Jesus. My father told Jesus was beaten to death how can he live? I answered him, Jesus died so that he can resurrect! Without dying how can a person defeat death and resurrect? If he is not God how can people after 2000 years remember and worship Him. Everyday his followers are growing in number and worshiping Him. Our Mohandas had been already forgotten within half a century. My father was convinced and my parents also came to Christ. Some three other families also came to Christ, because they could not answer me such questions. Only Aunty this is the grace of God. The days are last and time of grace is running out. I will study up to class 12. After that whether pass or fail I will go and preach and win souls for Jesus. I love Jesus. OK What about your grandma? I don’t care! I am adopted daughter by Director of Messiah Missions in U.S. Many of you must have read my testimonies many a time, so only I give my latest. Last month my SSLC public examination started. Pastor John Mohan came to my slum and I knelt down and he laid his hands on my head and prayed to God and Lord Jesus Christ to give me sufficient wisdom in my examination times. I went to all the examinations and wrote. Today I got the results and I have passed in all the subjects and secured 62 percent marks and got first class. Passing examinations is good you can taste sweets and ice-creams much you guys! In my slum many female children are given in wedding as child marriage practice is there. Kavitha and Visalakshi my best friends, also gone to other areas because of this practice. But I will continue to read more and I will become a medical doctor. I will go to the untrodden villages and slums and provide medical care to the folks and impart Jesus’ love. Two years back a woman of 23 years old was brutally killed in a running bus after deliberately gang raped. Many women in India joined the outrage against rowdism against women in India. Now I learn more about the atrocities against women. First of all, nothing will happen to the soul of a woman if she fears the Lord and walks in his ways. Psalms 91:10-12 But she should shun worldly ways and commit to godly ways also. Presently I am running a small fancy shop which provides bangles, pens, and gift for my livelihood earnings. I want to extend the shop by keeping stationary and books because JSS College a College of Arts and Science and commerce is situated just adjacent to the shop. In other words the shop is nearby to the college. The rest of the time I am joining the Messiah Missions evangelists for visiting houses and winning souls to Jesus. God has blessed me with a girl child. I wanted a girl child – and regular prayers and participation in the gospel work also. Pray for a revival in Bharat country and that many people come to god in Jesus’ name. This time the general elections are going on and we could not do much works publicly. But personal evangelism was done. One Mrs. Manjusha which had lost both of her kidneys heard the gospel and came to Christ. One Mr. Madayya listened to the gospel and invited us to his house. One elderly man called Viswambaran Nair is a government public works department contractor was depressed in life because of non-clearing of bills came to the Trivandrm Railway station to jump before a running train, but at that time he was spotted by our missionaries and was counseled. He changed his mind and left everything for the will of God. Before going back to his house he provided sweet apple juice to our evangelist missionaries. Salvation tracts and booklets like Way To God, Raju’s Heart and New testaments are given free of cost. However prices of the Holy Bibles have shot up to 200 rupees now days. It was 50 rupees last time. Even then we used to give free copies to the baptized believers and whichever persons genuinely ask for a copy for submitted reading. Heavy rains challenged the roofs of some of our churches. Especially the newly constructed asbestos sheet roof church in Nanjangud town Messiah Missions central church. Three sheets were broken and rain water came inside the building. By the grace of God no harm happened to our believers. The Spanish guitar and the mobile speaker system both provided by the Messiah Mission International donors were well safe guarded and nothing happened to them. After the rain was over, the sheets were changed and we had blessed worship service this week also. Brother Thampy’s works are going well some new believers are coming for prayer meetings. We want to co-ordinate our Kerala Tribal works in the districts of Wayanadu under evangelist Thampy so that Brothers Suresh Chethalayam, Satish Chandra Naik, Francis and K M Paily can have more fellowship. Brother Biman Bandopatra has been receiving threats from antichristian forces. Some 15 persons are converted here last month. Many people want to know more about Messiah Mission’s evangelistic works and pray continually for us. we want to bring out a Monthly Bulletin named Messiah’s Star in the near future. We are continually praying for this and as the Lord provides everything will come into effect. Vacation Bible Classes were held in Ashokapuram and Sriramapuram villages. When this name is here, there is no need to give another name also. Presently Anu Ramanna and Geetha are learning the skill of cutting tailoring and embroidery here. The embroidery machine provided by our Director seems to be much helpful for the emerging learners. Mrs. Hephziba Radeesh is giving a good leadership for the Tailoring school and she has good rapport among the girls and the public. One girl Shuddi got married on the tenth of this month. Nandhini and Sindhu continue to learn. One woman called Chickamani wants to come and learn tailoring. She is already 45 years old. She is a widow and her husband died due to AIDS last 2 years back we provided her widow’s support. We were providing 500 rupees per needy widows and 200 rupees for other widows. We were supporting 13 widows like that, but due to lack of funds these months find them starving. We were provided bundles of Salvation Tracts from Chennai. We thank the efforts of our Director in this regard. They are prayerfully used and distributed free of cost. We felt the need for providing vision and burden for professing evangelists and Pastors. A lending library is provided in Nanjangud Headquarters (and Messiah Mission’s National Office for India) which provides Christian theological and faith improving books to all coveted readers irrespective of caste, creed or denominational background. Messiah Missions does not start any temporary projects but all its activities are permanent and ongoing. We solicit your continued and fervent prayers ever more. We are sure we are benefitted spiritually and in the growing in the knowledge of knowing Christ through our Director, this wise servant of God. Many others we do not hear from, but know about, we thank you too for your dedication to this work.